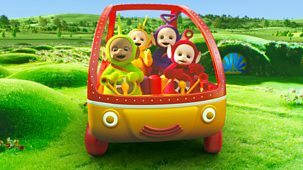 Tinky Winky, Dipsy, Laa-Laa and Po drive to the Hidey Hup in the Tubby Car. 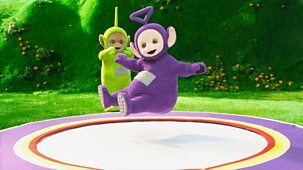 They enjoy going on the Tubby Bouncy, the Tubby Uppy Downy, the Tubby Spinny and the Tubby Slidey. 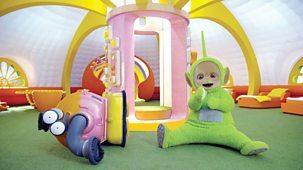 Dipsy and Laa-Laa drive to the Hidey Hup in the Tubby Car. 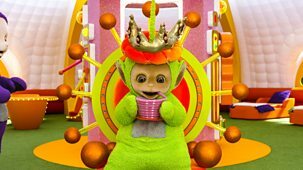 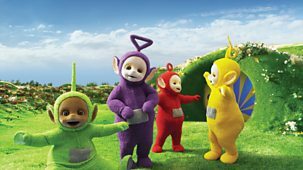 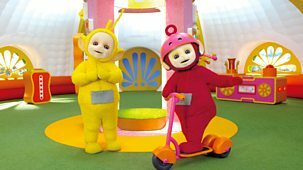 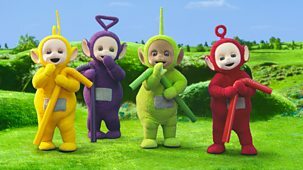 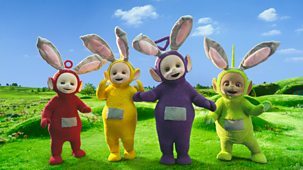 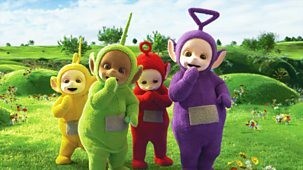 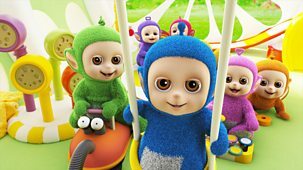 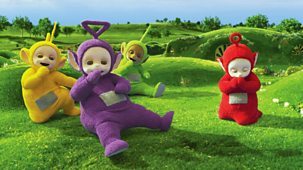 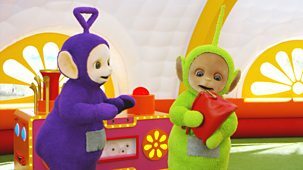 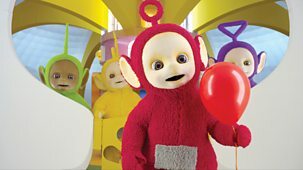 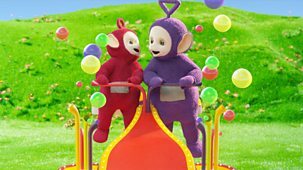 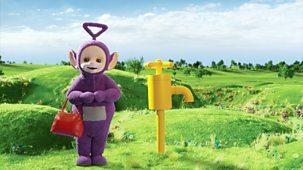 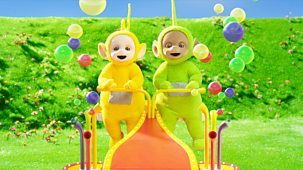 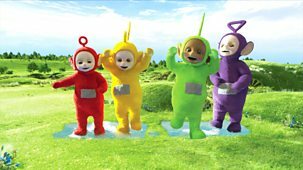 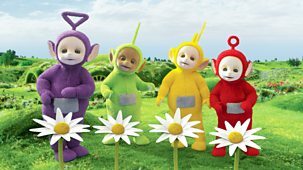 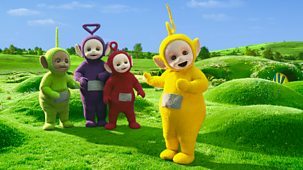 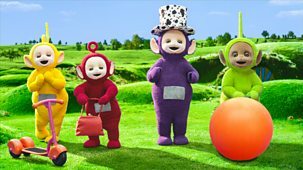 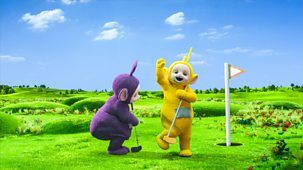 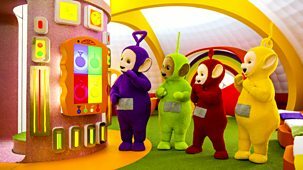 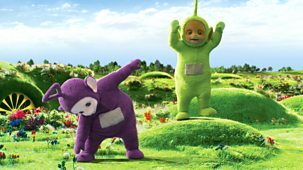 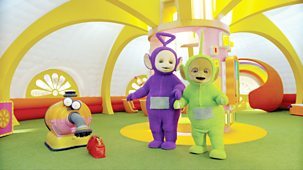 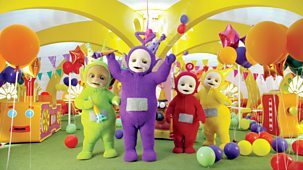 They meet Tinky Winky and Po and the Teletubbies go on the Tubby Uppy Downy together. 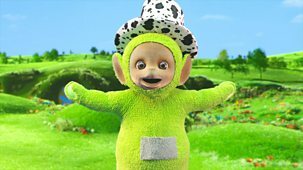 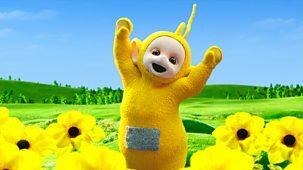 Laa-Laa has fun counting to three: 1, 2, 3 rabbits, 1, 2, 3 flowers and 1, 2, 3 trees! 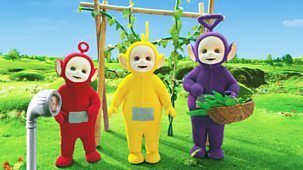 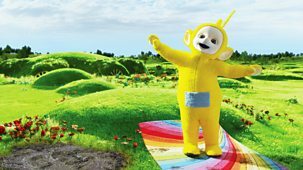 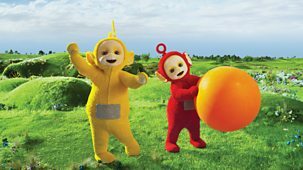 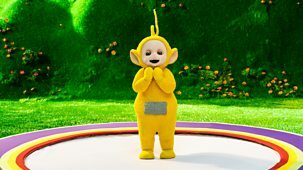 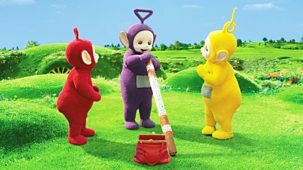 Laa-Laa even counts three Teletubbies: Tinky Winky, Dipsy and Po. 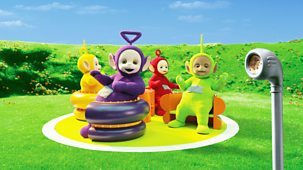 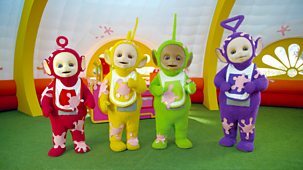 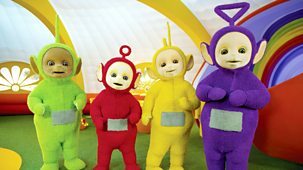 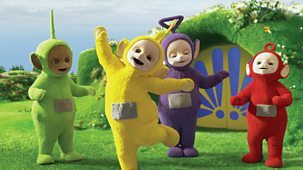 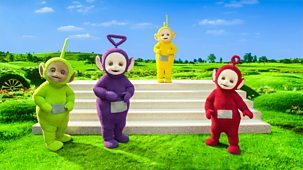 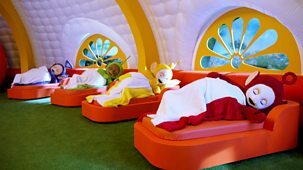 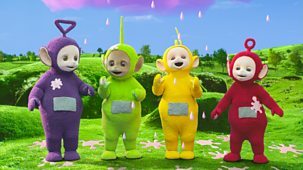 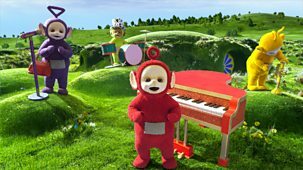 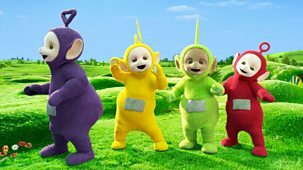 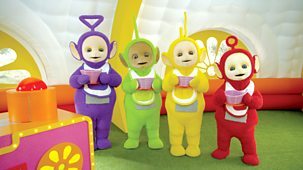 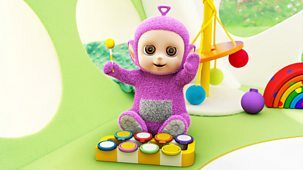 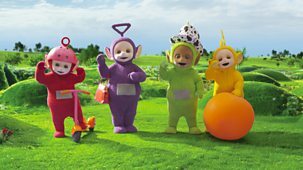 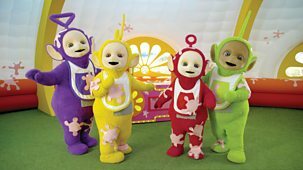 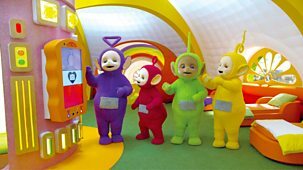 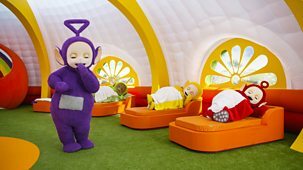 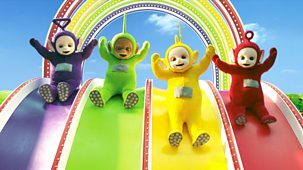 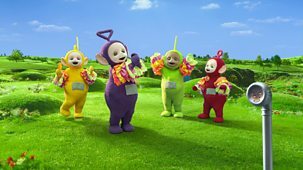 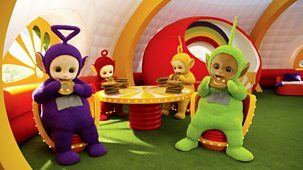 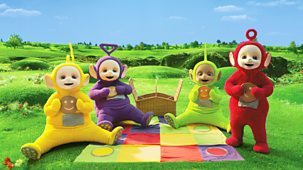 Tinky Winky, Dispy, Laa-Laa and Po enjoy Tiddlytubbies Songtime. 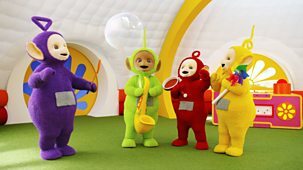 Then it is time for Teletubbies Songtime. 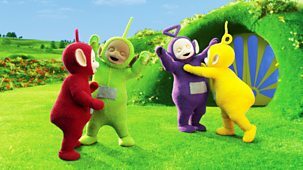 The Teletubbies sing solo before singing all together. 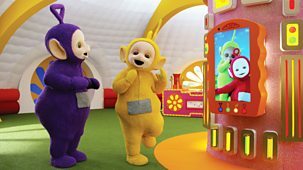 The Teletubbies are flamenco dancing! 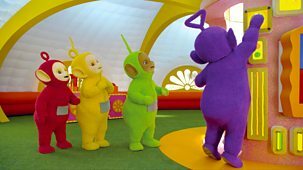 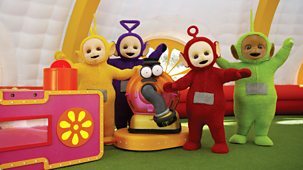 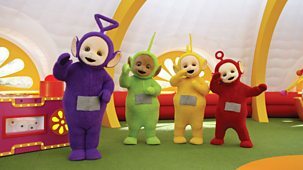 Tinky Winky, Dipsy, Laa-Laa and Po are surprisingly good. 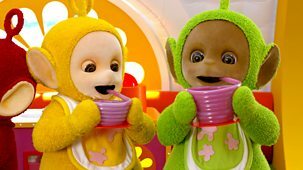 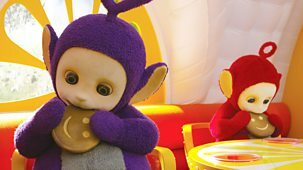 Po eats Tubby Custard and gets a messy bib. 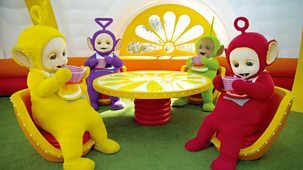 Po washes the bib clean and hangs it out to dry before eating more Tubby Custard with Tinky Winky, Dipsy and Laa-Laa. 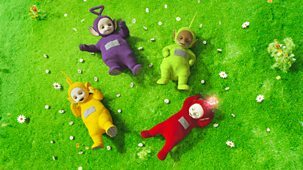 When the lights go out in the Home Dome, the Teletubbies get the giggles! 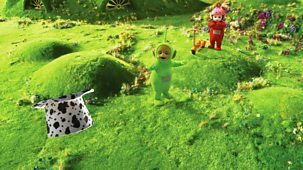 The lights come back on again and there's Tubby Custard mess everywhere. 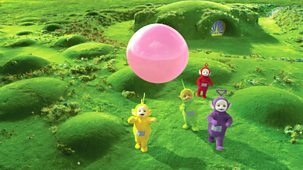 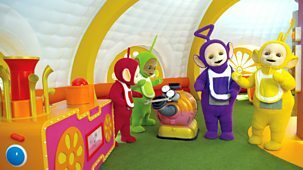 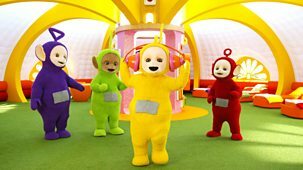 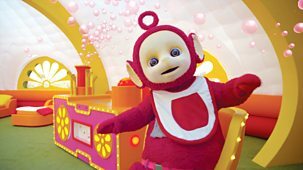 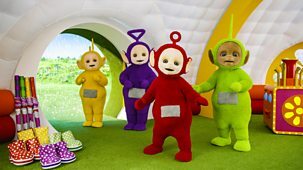 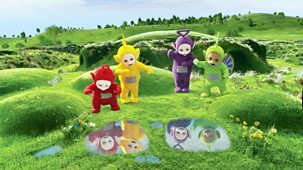 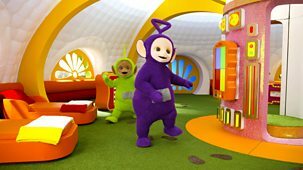 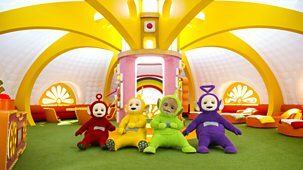 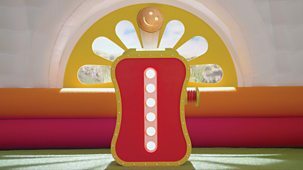 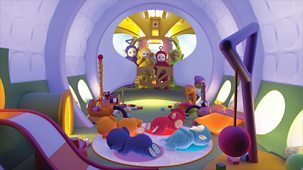 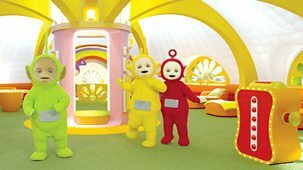 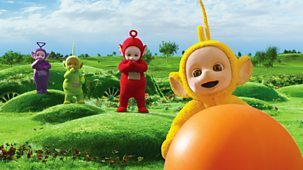 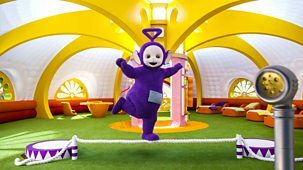 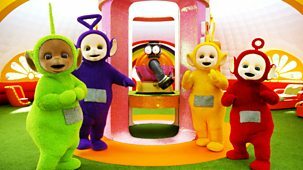 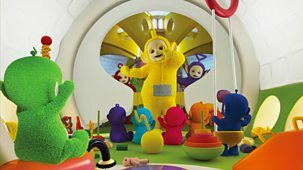 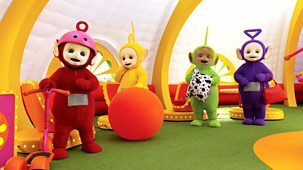 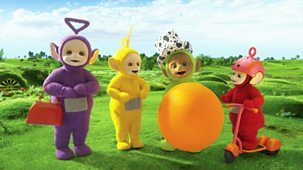 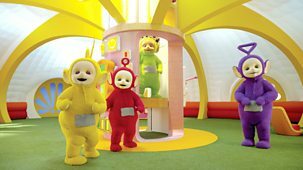 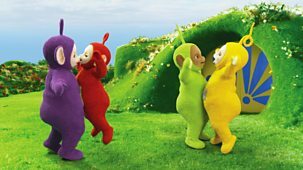 Tinky Winky, Dipsy, Laa-Laa and Po run around in circles in the Home Dome. 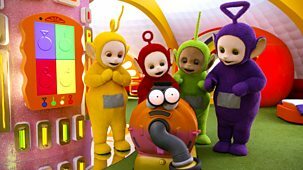 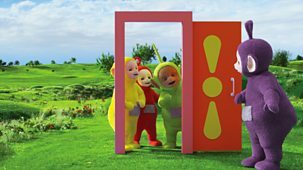 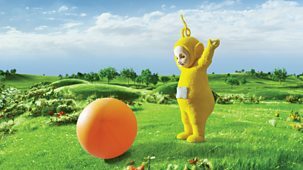 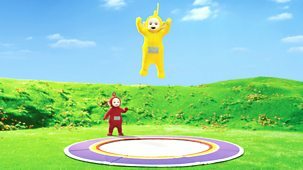 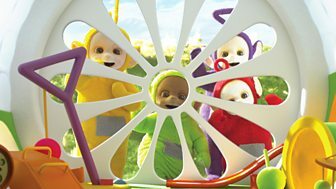 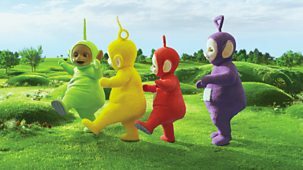 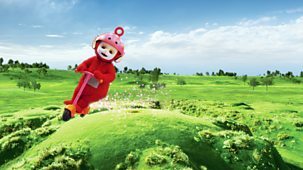 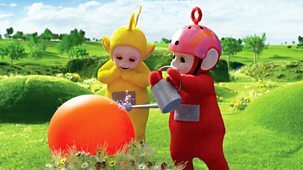 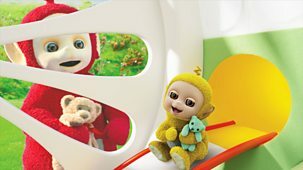 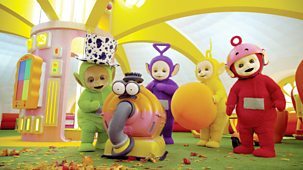 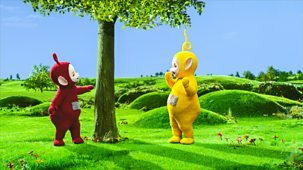 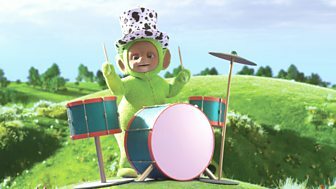 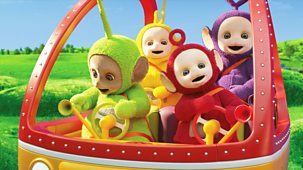 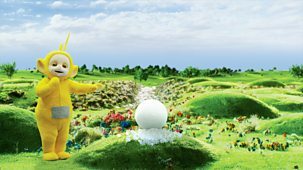 The Noo-noo joins in and the Teletubbies have fun chasing.